Today I'm featuring The Crooked House by Christobel Kent, which I borrowed from the library. It's my current read--a very atmospheric mystery set primarily in an English village on the marshes. When it starts again, she is face down on her bed with her hands over her ears and she feels it more than hears it. A vibration through the mattress, through the flowered duvet, through the damp pillow she's buried her face in. It comes up from below, through the house's lower three storeys. BOOM. She feels it in her throat. Alone in the bed Alison sat bolt upright. She had trained herself not to gasp when that happened, long before she woke next to anyone, long before there was anyone to ask her what had scared her. But she couldn't stop the jerk upwards, as if she had to break through the surface, as if water was closing over her. Paul had never asked, though: it was one of the reasons she was still here, eight months on. When Alison returns incognito to her childhood community after thirteen years to attend a wedding with her boyfriend Paul, memories of the traumatic reasons she left, including the horrific murders of her family, come flooding back. She has never shared this part of her history with Paul. The village and villagers seem virtually unchanged to Alison, but her older self is more astute at piecing together clues and motives as to what really happened all those years ago. Will she gain some sense of closure by confronting the ghosts of her past? 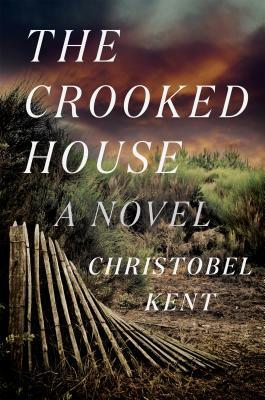 The author's layering of past events, current mysterious characters connected to the wedding, and new information about the villagers has my full attention. Every time I think I've figured out who was responsible for the killings, Kent throws another curve or two into the plot. The level of secret keeping amongst the characters is palpable, and I am bracing myself for the revelation of the truth.